UFO SIGHTINGS DAILY: Alien Base Entrance Found Below Ocean On Google Earth Map, July 2016, Video, UFO Sighting News. 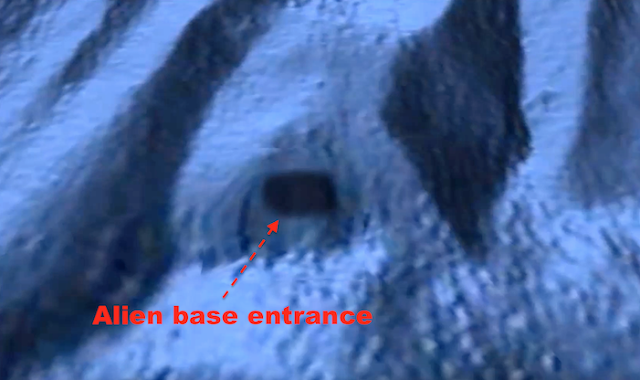 Alien Base Entrance Found Below Ocean On Google Earth Map, July 2016, Video, UFO Sighting News. This underwater base entrance was found by MexicoGeek of Youtube today. He didn't post the exact location, I asked and hopefully he will get back to me on it. Water covers 75% of the Earths surface, and UFOs are air tight enough to travel in space, therefore it stands to reason that UFOs could also travel underwater and make building bases below the ocean floor a simple task.